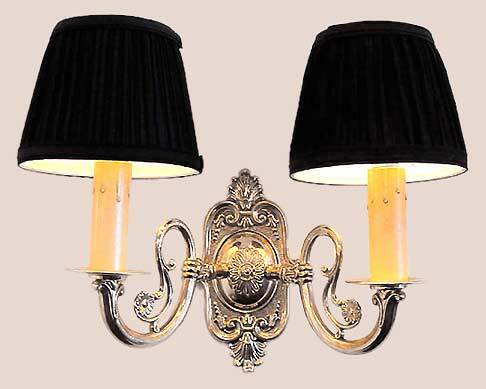 Unique in that it is certainly Colonial but also captures the period turn with Victorian elements such as the ornate back plate and detailed cast arms. See MODEL NS133 for a Glass Shade version. Width 15 In. / Projection 8 In. / Depth 11 In.